Prior to serving on the Board of the Company, Mr. Walker served on the board of directors of Genworth Mortgage Insurance Canada since June 1996. Mr. Walker is currently a partner in the law firm Walker Sorensen LLP, specializing in advising insurance and reinsurance companies. 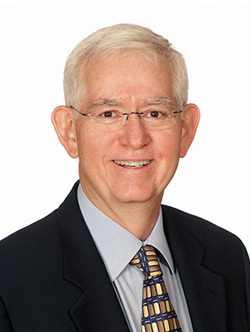 Prior to founding Walker Sorenson LLP in 2007, he was a sole practitioner, focusing on providing opinion advice to clients on business and insurance matters. From 1987 to 2004, Mr. Walker practiced in the Financial Services Group of McCarthy Tétrault LLP, a national law firm. Prior to his time at McCarthy Tétrault LLP, Mr. Walker spent eight years in the insurance and reinsurance industry as a property and casualty insurance broker, a reinsurance broker and a treaty and facultative reinsurance underwriter. He has previously served as a member of the board of directors of a number of financial institutions, including TD Trust Company and Concordia Life Insurance Company.